Considering this week's events in the U.S. elections, it seemed like the right time to play a game based on the premise that an evil overlord already won. 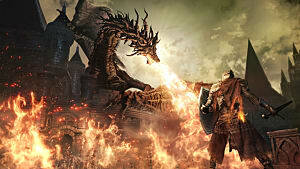 Likewise, I discovered the intense annoyance of Google searching the word “Tyranny” and finding a whole lot of Tea Party "don't tread on me" material rather than anything to do with Obsidian Entertainment's latest take on the classic RPG formula. 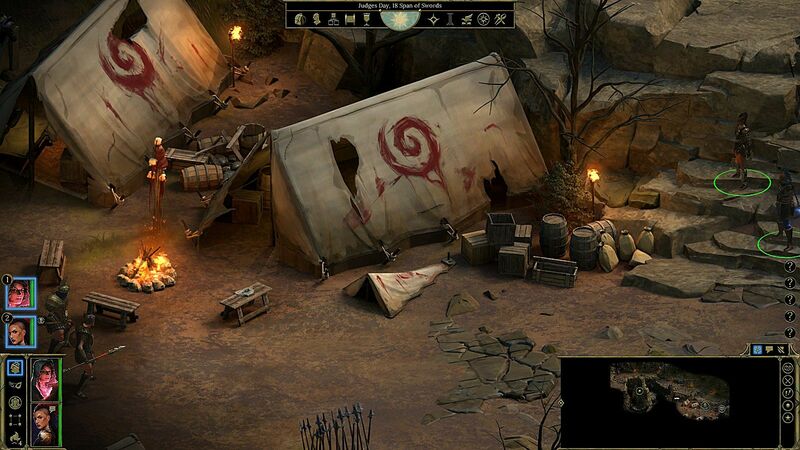 As soon as we heard Obsidian had teamed up with Paradox, everyone was dreaming of a new World Of Darkness RPG. Personally I was hoping for Wraith -- a corner of the World Of Darkness that never gets any digital gaming love -- but of course everyone gets themselves into a frenzy over Vampire. 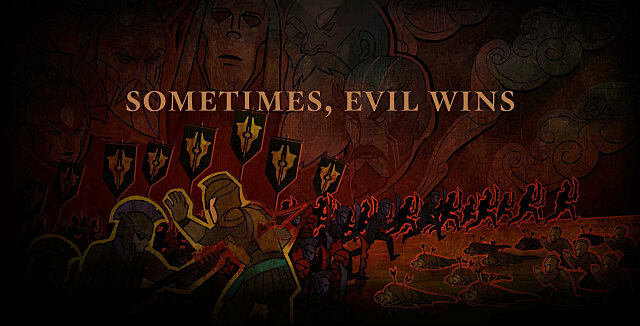 In a twist nobody saw coming, instead we got Tyranny -- a game Obsidian had pitched to a publisher years back but was turned down. This is one of those interesting turning points in gaming history and its impossible to know -- would this have been a completely different experience if the original idea was executed then, versus arriving now after Obsidian nailed the retro style with Pillars Of Eternity? Before getting into the game itself, I have to give props to the folks from Obsidian for not crowd funding every game, like several other purveyors of classic style RPGs have done (which has really put a sour taste in the mouths of fans). They made their money on Pillars, and now are doing things the old fashioned way. Honestly I didn't believe this game was actually arriving this year as originally announced, and was rather shocked when the November release date was revealed. I was expecting the end of the year to arrive and then see a sheepish delay announcement quietly released, so hats off for keeping your word, Obsidian. Not many games have you play the conquest of a nation as your character creation screen, and that's just the beginning of Tyranny's shift in focus. The choices you make during the initial conquest of the Tiers area radically change each location and how people interact with you throughout the rest of the game. 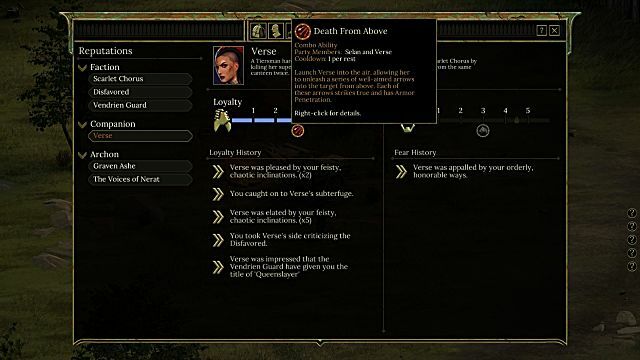 Many of the NPCs I came across referred to me as the “Queenslayer” due to options chosen during the character creation section -- with some very pleased to meet me over that particular exploit, and others attacking me on sight over the name. 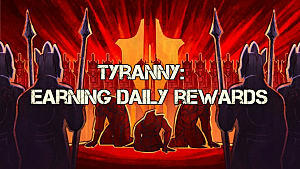 Tyranny turns a lot of the standard RPG tropes on their head. In an early section you'd think you should stop and help a wounded soldier. 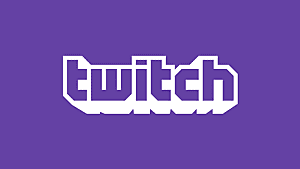 That option just earns you derision, not only because you are supposed to be iron-willed and without mercy, but because this particular faction is under a magical compulsion that heals non-lethal wounds very quickly. There's also a major shift in how the world reacts to you and what kind of character you are playing. Rather than that defenseless peasant having to take up the sword and learn to become a hero, nearly everyone you meet is already terrified of bringing out your wrath because you have the lawful means to execute anyone you come across. That doesn't mean people immediately agree with or capitulate to you though, as there are many different factions present -- and not all of them agree with how you are going about your job of enforcing the Overlord's will. There's a compelling reason to get people to work together and not just slaughter anyone you disobeys you, as the game starts with a magical Edict compelling you to complete a task within 8 days or everyone in the area – friend and foe – will die. 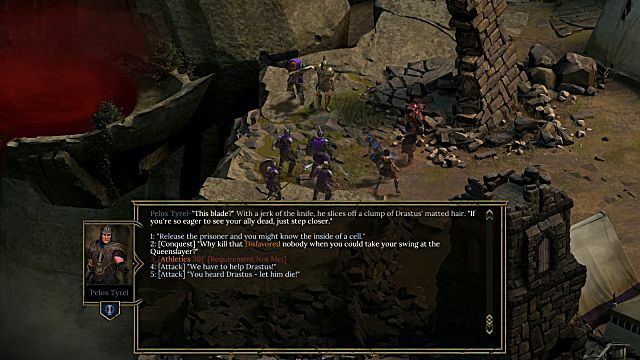 In a manner similar to the ARPG Grim Dawn, your Fatebinder character gains new Reputation abilities both for currying favor and for invoking wrath with any given faction, but you don't just get wrath for killing enemies – quite a few options present themselves as you decide how to enforce the Overlord's will. While conventional wisdom would be to ingratiate yourself with party members and keep them happy to make them loyal, sometimes in the world of Tyranny its better that they hate and fear you instead. 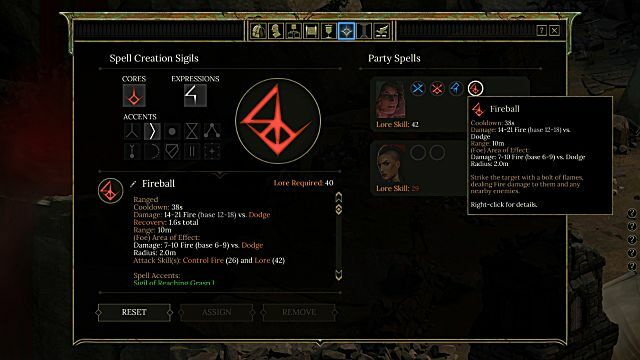 You can actually start with a sizable favor or wrath score with certain factions just based off character creation options. 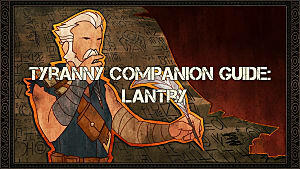 Likewise, there's loyalty and fear with companions. Neither is necessarily better than the other, and both offer up different dialog options. As expected from Obsidian, the companions are a serious high point, and perhaps even more interesting than those from Pillars. Adding another tactical layer, you can learn combo attacks with your companions that unlock as they grow to love or fear you. Style and layout-wise, Tyranny plays like a combination of Pillars Of Eternity and the similarly amoral Blackguards 2, which is a good thing. 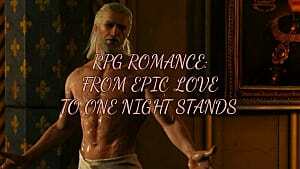 One of the reasons the game likely arrived so quickly is because its clearly the same engine, and in some cases even the same assets, that were used in Pillars Of Eternity. The camping equipment and wounds system, for instance, are lifted wholesale. 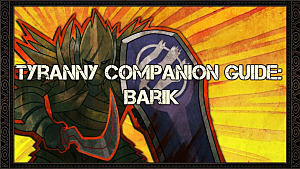 But other elements of the combat and class system have been tweaked and changed to feel separate and unique. One interesting change is that experience is gained for simply using skills and making attacks, and there's also the ability to pay trainers to upgrade skills (with a cap on how often that can occur per level). 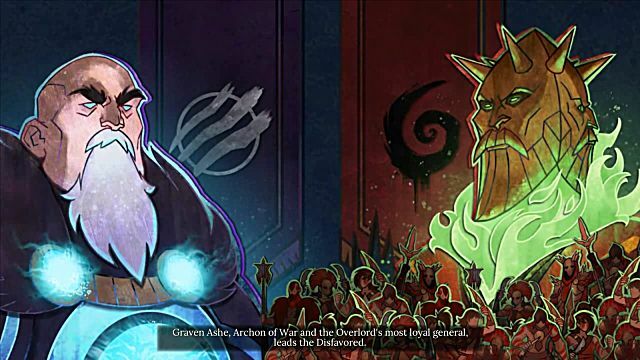 Graphically Tyranny is very similar to Pillars, but the background locations are a little more washed of color and less vibrant, while the character models (especially the powerful Archons) are much more eye-popping and colorful. As with Pillars, your character build will change dialog options radically. It's not just conversation though -- whole areas of a map that may be unreachable depending on where you put your points. There's a section of the opening area I simply couldn't get to due to my low Athletics. You better believe points will be going there on the next playthrough when I'm not focused on lore and spell casting. What's surprising is how interconnected everything ends up being. 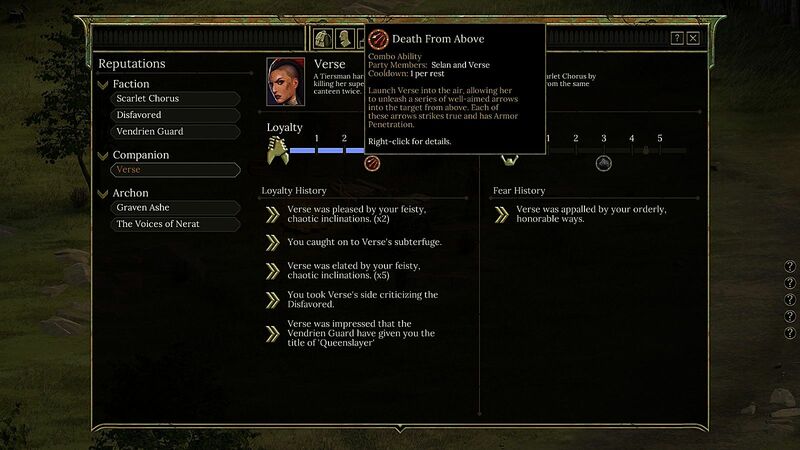 Dialog options, for instance, become available with different party members even depending on what you look at. 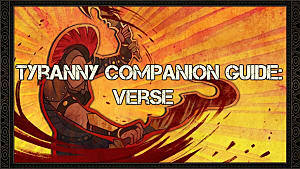 Simply choosing to examine a certain banner gets your first companion Verse talking about what she doesn't like about the army that flies that banner, and offers opportunities to earn loyalty or fear. The biggest combat change is in learning Sigils and Accents to craft your own spells, changing the form, size, duration, effect, damage, etc. for a wider range of spell options. You can create a huge (nay, massive) range of spells, but only have a limited number of slots to put them in. And the more Accents you add, the higher the lore cost, until eventually the spells will be too powerful to cast. There's no magic points or Vancian daily magic spells, and instead each spell has a cooldown period controlled by your stats. 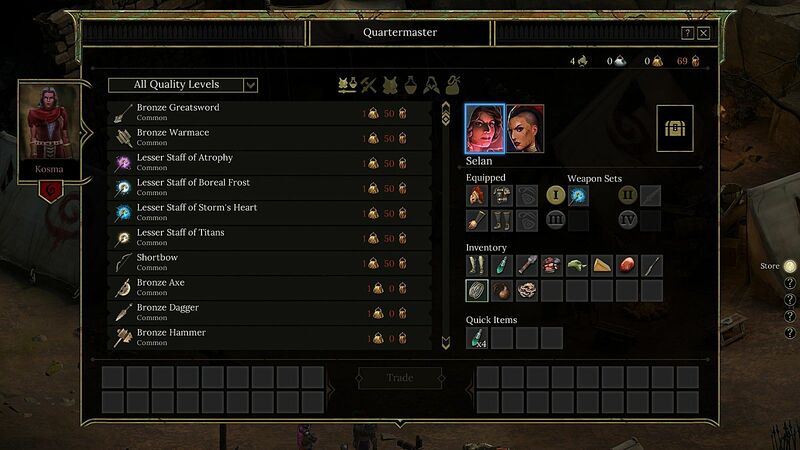 Unlike with Pillars, I'm not crazy about the UI layouts in Tyranny -- both on the main screen and in the inventory/character panels, which are pretty cluttered. The inventory screen when buying and selling from merchants in particular feels a little basic and unpolished, and reminds me of Wasteland 2's UI before being fixed in various patches and the Director's Cut edition. All of the various menu and character screens feel overly plain and utilitarian, and fail to evoke the flavor of a dark fantasy world where an evil god-like overlord has conquered nearly everything. They really do feel like a sheet of paper covered in RPG stats, but there's an upside there. Your various offense and defense stats clearly state where everything is coming from: a bonus from your equipped Scarlet Fury Helm, a bonus from high Finesse stat, and so on. You aren't ever in the dark about why your stats are the way they are. Other than the UI, the only other issue present is that the many interesting moral choices becomes less prevalent the further you progress in the game, and it does feel like there should be more content overall. Most noticeably, each of the map locations are much smaller than they were in Pillars, which may also have something to do with the short amount of time between games. The companions in particular could have used more side quest material, and I would have gladly waited a few more months for a more complete experience rather than getting another game just a year after Pillars. Obviously you have to already be in love with the Baldur's Gate / Planescape: Torment / Pillars Of Eternity formula, but if you are, this is going to be in your top games of the year. There are some flaws, but I suspect some of them will be rectified with patches and others will hopefully be remedied with DLC. After playing through as a law-breaking mage who sides with the chaotic Scarlet Chorus, I honestly can't wait to start over and come through again as a noble-born soldier who supports the regimented order of the Disfavored. 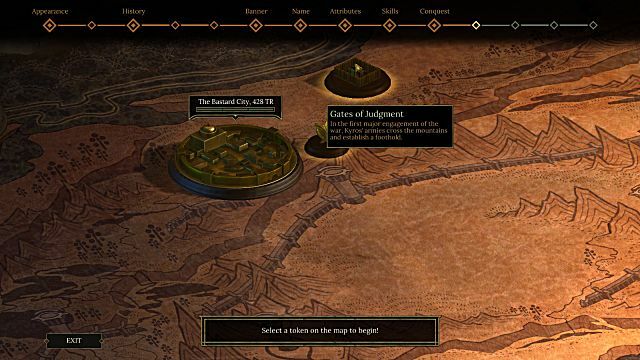 With Tyranny arriving so unexpectedly quickly after Pillars, now we have to ask: what's next from Obsidian? Sadly, it's not a likely scenario at this point that Obsidian will be taking the next Fallout to put Bethesda's efforts to shame, as in years past. 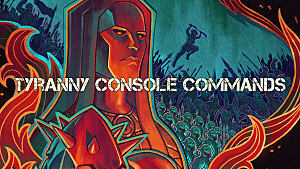 Personally I hope the next one is a sci-fi horror mashup done in a similar visual style to Tyranny. 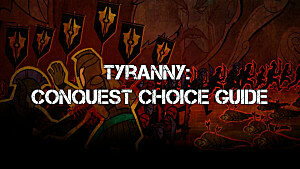 What do you think of Tyranny's shift towards evil, and what are you hoping the developer will get up to next? Is it good to be bad? 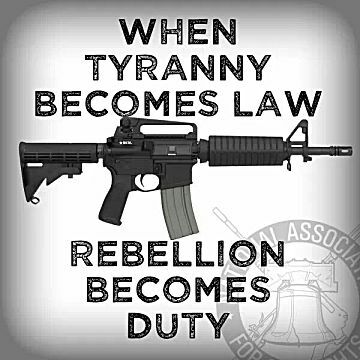 With Tyranny, you bet it is!